If your online e-commerce business is running over the Magento platform, you must pay attention to this information. Magento yesterday released new versions of its content management software to address a total of 37 newly-discovered security vulnerabilities. Owned by Adobe since mid-2018, Magento is one of the most popular content management system (CMS) platform that powers 28% of websites across the Internet with more than 250,000 merchants using the open source e-commerce platform. The flaw, which does not have a CVE ID but internally labeled "PRODSECBUG-2198," could allow remote hackers to steal sensitive information from the databases of vulnerable e-commerce websites, including admin sessions or password hashes that could grant hackers access to the admin's dashboard. Since Magento sites not only store users' information but also contain order history and financial information of their customers, the flaw could lead to catastrophic online attacks. 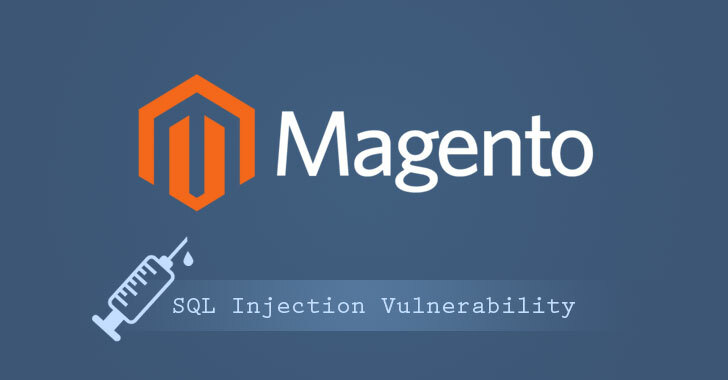 Given the sensitive nature of the data Magento e-commerce websites handle on a daily basis as well as the risk the SQL vulnerability represents, Magento developers have decided not to release technical details of the flaw. Besides the SQLi vulnerability, Magento has also patched cross-site request forgery (CSRF), cross-site scripting (XSS), remote code execution (RCE) and other flaws, but exploitation of the majority of those flaws require attackers to be authenticated on the site with some level of privileges. Online store owners are urged to upgrade their e-commerce websites to the recently patched versions as soon as possible before hackers started exploiting the flaw to compromise your websites and steal payment card details of your customers.